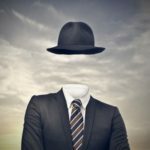 Celebrities and others investing in real estate and other business ventures may wish to preserve their identity from public disclosure for various reasons. In many cases, the best option available to do so is forming a pair of LLCs under Delaware law. Unlike California and many other states, Delaware does not require that any information concerning an LLC’s members and/or managers be publicly disclosed. In California, for example, every limited liability company has to file, within 90 days after formation and biennially thereafter, a Statement of Information containing, among other things, the names and addresses of any manager, or, if the LLC does not have a manager, the name and business or residence address of each member of the company. Many states have adopted a version of the Uniform Limited Liability Company Act that contains a similar requirement. Delaware, by contrast, has no such requirement. When a LLC is formed in Delaware, an “authorized person” must execute a Certificate of Formation to be filed with the Delaware Secretary of State. The only information that has to be included in the Certificate of Formation is the name of the LLC, the name and address of the registered agent for service of process, and the address of the registered office. The “authorized person” is usually an attorney or other person hired to set up the LLC, and may be the registered agent as well. The investor who wants to keep her identity private does not have to be the authorized person or the registered agent, and her authorization to the person forming the LLC does not have to be revealed. Once the company is formed, there is no requirement that annual or biennial reports setting forth the names of managers or members be filed. Delaware does require the filing of annual LLC tax in the amount of $300 on June 1 each year. But if the tax is filed online and paid with a credit card, no member, manager, or address information is requested or confirmed, and no signature is required. So here is how Delaware LLC law can be used to maintain anonymity for investors: The investor buys property in California through a Delaware LLC set up by another person authorized by the investor. That company has to be registered to do business in California as a foreign limited liability company. Once registered as a foreign limited liability company, the Delaware LLC has to file a Statement of Information just like domestic LLCs do. But the investor forms a second Delaware LLC to act as manager of the first Delaware LLC that owns the property and lists the name and address of the second Delaware LLC on the Statement of Information for the first Delaware LLC. The second Delaware LLC (the manager) does not have to be registered as a foreign limited liability company in California simply because it manages the first Delaware LLC that owns the property in California. As a result, the second Delaware LLC does not have to file a Statement of Information in California listing the names and addresses of managers or members. This would also work with a California LLC as the first company (the property owner), but there has to be a Delaware LLC acting as manager of the property-owning company in order to avoid having to disclose information about the managers or members at some point in the process. And if the investor is forming one Delaware LLC, she may as well form two there at the same time, rather than one in Delaware and one in California. There is also the stability and predictability of having both LLCs governed by Delaware law, which remains a preferred jurisdiction for the flexibility and mobility it provides to those who form LLCs and other business entities there. Why not avoid having to set up multiple companies to own the property and manage the owner just by having the investor hire someone else to act as the manager of one property-owning company? The investor could, of course, do that, but there may be significant added expense involved, not to mention the risk associated with appointing a complete stranger as the CEO in charge of what is presumably a significant investment if the investor is willing to take these steps to protect her identity. By setting things up as outlined in this article, the investor maintains complete control over the companies and the investment. See Cal. Corp. Code § 17702.09(a)(5). See Unif. Ltd. Liab. Co. Act (1996) § 211(a)(4) (requiring the filing of an annual report setting forth the names and business addresses of any managers); Unif. Ltd. Liab. Co. Act (2013) § 212(a)(4), (5) (requiring the filing of an annual or biennial report stating, if the company is member managed, the name of at least one member, or, if the company is manager managed, the name of at least one manager). See id. § 18-204(b) (“Unless otherwise provided in a limited liability company agreement, any person may sign any certificate [of formation] . . . by an agent, including an attorney-in-fact. An authorization, including a power of attorney, to sign any certificate . . . need not be in writing, need not be sworn to, verified or acknowledged, and need not be filed in the office of the Secretary of State, but if in writing, must be retained by the limited liability company.”). See id. § 18-1107(b), (c). See Cal. Corp. Code § 17708.02. See id. § 17708.03(c)(5) (“[A] foreign limited liability company shall not be considered to be transacting intrastate business in this state . . . merely because of its status as . . . [a] member or manager of a foreign limited liability company transacting intrastate business[.]”). A foreign limited liability company is also not considered to be transacting intrastate business in California merely because it acts as a member or manager of a domestic limited liability company. See id. § 17708.03(c)(6). The investor will have to make one extra filing in California to register the property-owning LLC as a foreign limited liability company.